Flowers in the Attic by V.C. Andrews was a controversial and popular best-seller when published in 1979. I recall seeing it on tables in my friends’ homes and just being unnerved by its cover. I never read it fearing I’d find it too disturbing. After their father dies unexpectedly, the four Dollanganger children find themselves hidden away in the attic at their wealthy grandmother’s mansion so that their mother might reclaim her fortune. She tells the children that her father is angry with her but with time she’ll be able to convince him to give her the money that she deserves as his daughter and then she’ll come back and get them and they’ll move on and find their own place to live. The grandmother [a spiteful, austere Ellen Burstyn] insists they remain hidden from everyone including the servants. No one is to know that they’re living there. She tells them terrible things about their mother—that she’s evil and conniving and shows them the whip marks on her back to scare them into obeying her rules. She brings them food each morning but provides little else as time ticks by. At first, they see their mom Corrine [Heather Graham], a bright-eyed, eager optimist, often. Soon the time between her visits grows longer and longer until they realize she’s occupied with a new suitor and may not care that much about reuniting with her children after all. In close quarters and without much to do, the two older children find themselves entering puberty and changing physically and emotionally. Close before, their bond strengthens as they only have each other. 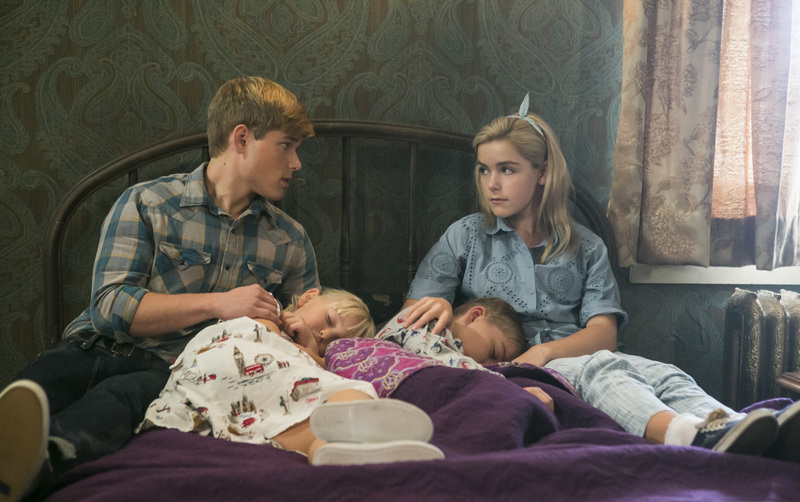 Grandmother Foxworth starts to notice their connection and Cathy [Kiernan Shipka] and Christopher [Mason Dye] receive harsh punishments including whippings, periods of starvation and humiliation. The younger twin boy and girl fear going outside on the roof for sunlight and start to get rather weak and sickly. It’s been over a year since they’ve been in the attic. As they wonder if their mother will return for them, Cathy and Christopher begin to plot their plans for escape. Superb performances by Kiernan Shipka, Heather Graham and Ellen Burstyn. Known for her petulant, rebellious Sally Draper on Mad Men, Shipka shows mettle with this emotional role. Cathy stands strong against both her malicious grandmother and her wayward, selfish mother. She’s driven to get her brothers and sister away from this house of horror. Shipka’s one of the finest young actresses out there. If you expect a blonde bombshell character from Graham you’ll be disappointed. Yes, Corrine’s beautiful and charming but Graham adds layered calculation and vulnerability. It might surprise viewers. She’s wonderful. 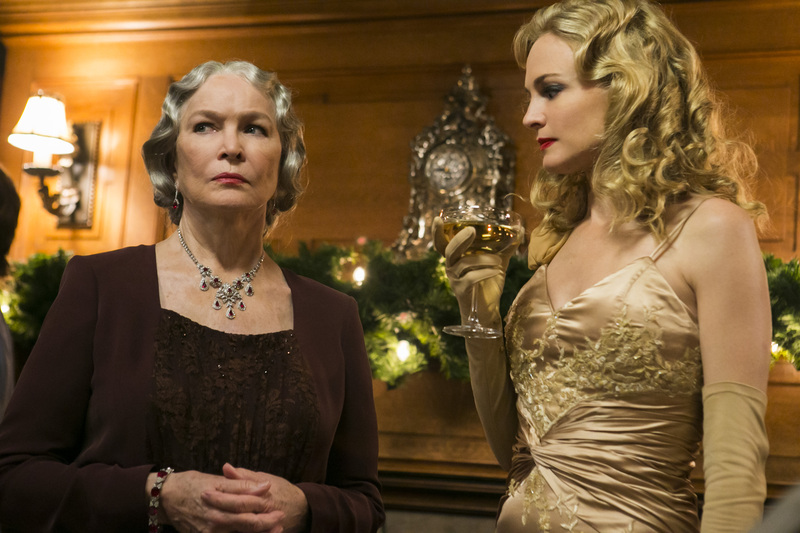 As Grandmother Foxworth, Burstyn generates spine-chilling moments. Mason Dye brings poise and an inner strength to Christopher. While he’s a newer face and less experienced than his female co-stars he doesn’t fall into their shadows at all. Flowers in the Attic is creepy and completely engrossing. 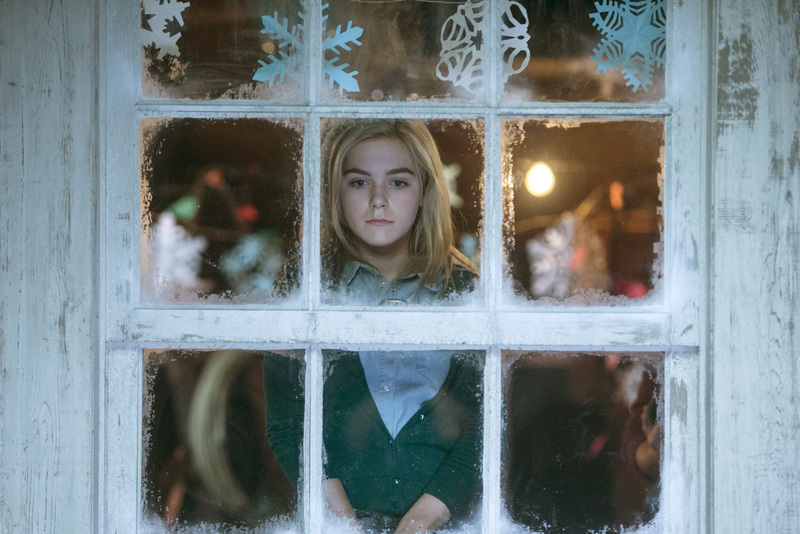 FLOWERS IN THE ATTIC AIRS ON LIFETIME ON SATURDAY JANUARY 18 AT 8PM PT/ET.